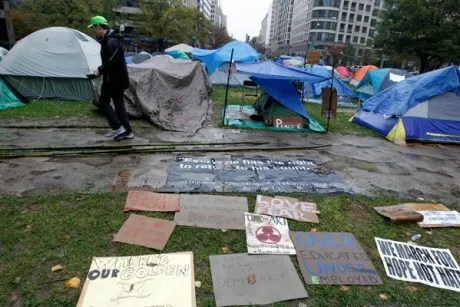 The latest developments on the Occupy Wall Street‘s march from New York to the capitol building in Washington, D.C. in efforts of protesting the Super Committee’s failure to reach an agreement of cutting trillions of dollars toward the deficit. (AP) WASHINGTON – A freelance radio host was fired from a documentary program that airs on NPR affiliates after she became a spokeswoman for a Washington protest because her producers believed she violated the public radio network’s code of ethics, the host said Thursday. Lisa Simeone said she was fired the previous evening from “Soundprint,” a music documentary show that isn’t produced by NPR but is aired by its affiliates across the country. She said the head of Soundprint Media Center Inc., which produces the show, read NPR’s code of ethics to her before she was fired. 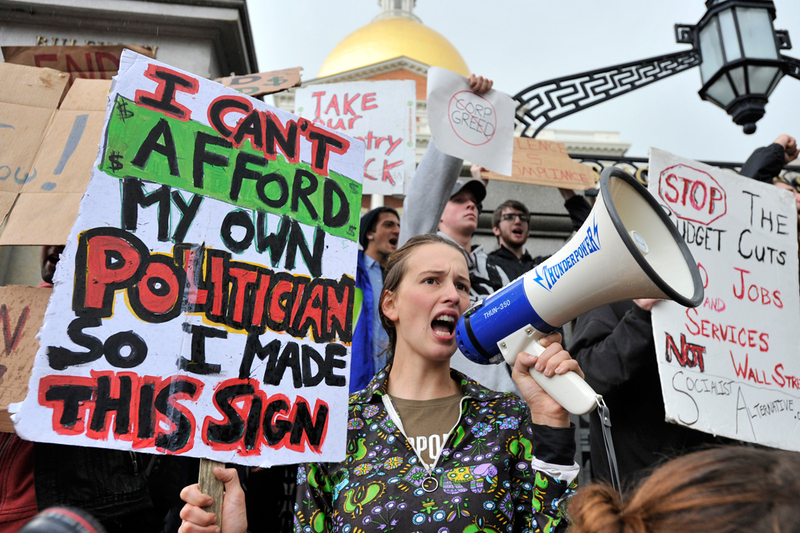 NPR also questioned Simeone’s involvement in the “Occupy D.C.” protest and said its ethics code applies to the shows it carries. But NPR said Simeone doesn’t work for the radio network, and it hadn’t pressured Soundprint to fire her. Simeone also hosts “World of Opera,” a show produced by North Carolina-based music and arts station WDAV. That program is distributed by NPR. She said that station is supporting her so far. Simeone told The Associated Press she is not a news reporter. Simeone, who lives in Baltimore, said she has been serving with about 50 people on a steering committee for an occupation protest on Pennsylvania Avenue in Washington. 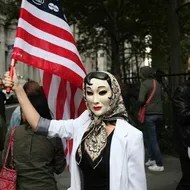 She said it is not connected to the Occupy Wall Street movement that began in New York, but they share similar philosophies. NPR issued a statement on its website Wednesday saying it had learned Simeon was participating in an “Occupy D.C.” group but that she is not an NPR employee. On Thursday, NPR spokeswoman Anna Christopher said no one at the network has had contact with producers of “Soundprint” or pressured them to fire Simeone. As for “World of Opera,” Christopher said the network’s code of ethics applies to cultural programs, as well as news, that the network produces, acquires or distributes. WDAV, a station based in Davidson, N.C., issued a statement saying it was working with NPR to find a solution for the show. The network has been sensitive to accusations that it carries a liberal bias. An NPR CEO was forced to resign after conservative activist James O’Keefe posted a video portraying NPR’s chief fundraiser complaining about the tea party’s influence on the Republican Party.